New Horizons is currently making its way to the outer reaches of the Kuiper Belt en route to a distant destination beyond Pluto. Along the way, the intrepid spacecraft has captured unprecedented images of a distant object called Quaoar—a dwarf planet about half the size of Pluto. Discovered back in 2002, Quaoar (pronounced “kwa-war) requires 285 years to make a complete orbit around the sun, compared to Pluto’s 248 years. It measures about 780 miles (1,260 km) across, and features one moon, named Weywot. 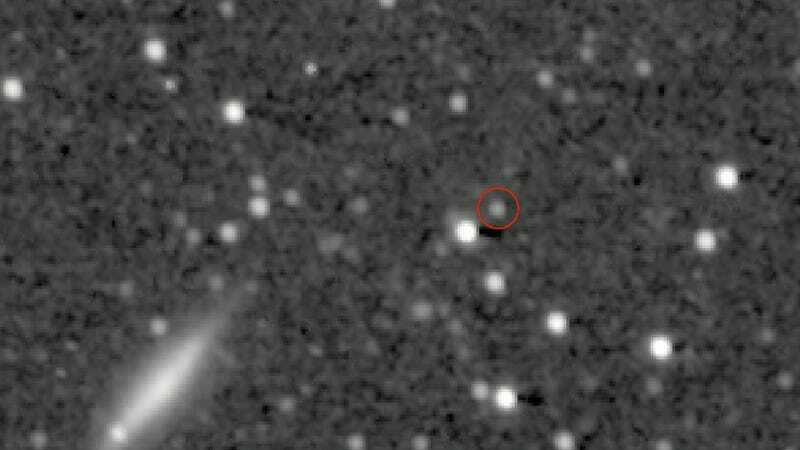 Back in July, New Horizons used its Long Range Reconnaissance Imager (LORRI) to snap a series of images of the distant Kuiper Belt object. When the pictures were taken, Quaoar was about 4 billion miles (6.4 billion km) from the Sun, and about 1.3 billion miles (2.1 billion km) from New Horizons. These images show the object at a different angle from what we’re accustomed to here on Earth, which will allow scientists to study the light-scattering properties of Quaoar’s surface. Sadly, New Horizons is not going to Quaoar, but it is headed towards an interesting destination nonetheless. On January 1, 2019, the space probe is expected to arrive at 2014 MU, a small Kuiper Belt object about 20-30 miles (30-45 km) in diameter. Incredibly, New Horizons will be about 43.3 AU from the sun (where 1 AU equals the average distance of the Earth to the Sun), or about 4.025 billion miles (6.5 billion km) when it arrives. 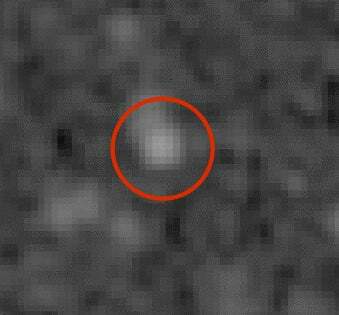 At that distance, it’ll take New Horizons about six hours to transmit its findings back to Earth. New Year’s Day 2019 will be an exciting one, indeed.